My uncle’s marker at Arlington National Cemetery. When I wrote about my mother’s family in Hatched in Newtown, I included a lot about her oldest brother, Ernest Kelley. Ernest graduated from high school in San Antonio, Texas, in 1938. His father had wanted him to drop out for many years to get a job and earn money. It was only due to his mother’s insistence that Ernest stayed in school. The family lived in poverty and although the money would surely had helped, she wanted all her children to get an education. The parental fighting over Ernest’s future, as well as the family’s dire financial circumstances, led to paternal abandonment. A capable and charismatic young man, Ernest was a leader among his peers. Yet, he had the bad luck to enter adulthood in the midst of the Great Depression. Upon graduation, he worked his way across the western U.S. in odd jobs, writing home whenever he could. It is likely that he was tired of scrounging for jobs and food when he wrote home that he had joined the Army. General Douglas MacArthur was recruiting troops to serve in the Philippines, and a high school education was required to join. 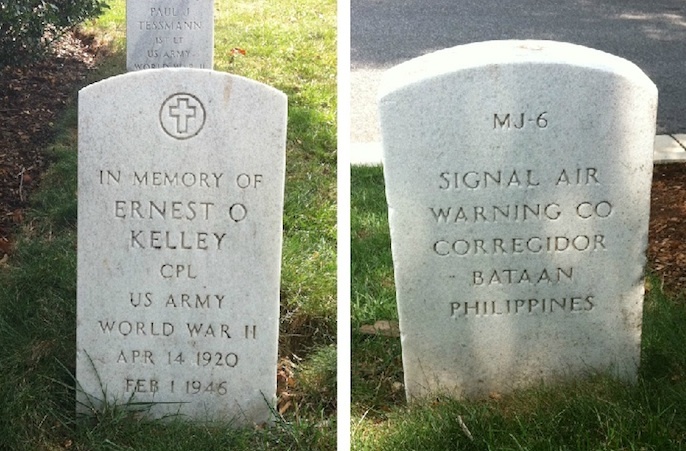 Ernest survived the Bataan Death March, but never made it home from the Philippines. His troubling MIA status (presumed dead) defined my mother’s family. They never gave up hope that he was alive and wrote countless letters to anyone who might have known Ernest overseas and could provide information regarding his whereabouts. As I scribed Hatched in Newtown, I made a point to include as much of Ernest’s story as I could reliably report. I felt it my duty, as both a family member and an American, to preserve his memory on the pages of my own book. A fallen American soldier, Ernest would never have the chance to write his own memoir. A few years ago, I met a Connecticut journalist at a writer’s conference. Besides her day job as a reporter, she volunteered in her local community to assist veterans who wanted to write their memoirs. I was touched by the significance of her efforts, as the veterans obviously benefited from the tutelage of a professional writer. She gave them the tools to transform their sorrows and triumphs into words–what a gift! I’ve since learned that there are several organizations dedicated to helping veterans, such as the Veterans Writing Project, which was featured in a New York Times article titled Warrier Voices: Veterans learn to write the words they could not speak in 2013. The organization provides writing seminars and workshops for veterans. While the writing may be therapeutic for the veterans, their words also document history. These authors are the first to remember their fallen comrades. On Memorial Day 2014, let us all remember the men and women who died in service to their country. As writers, let’s honor their memory even further and include them in the pages of our own memoirs. « Why should teens read?